In the weeks and days leading up to Basel, the tension, speculation and near-hysteria around Rolex’s impending releases is palpable, and this year was no different. 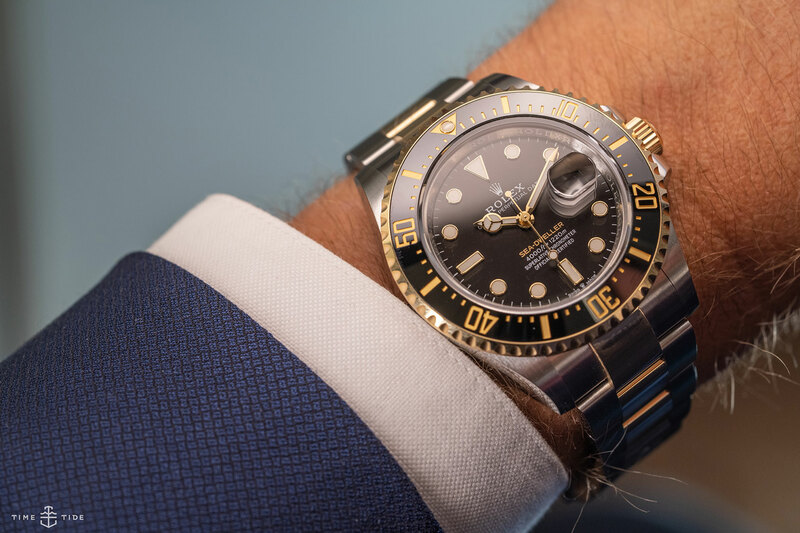 And while the popular predictions in the lead-up to Baselworld 2019 were the usual mix of near misses and safe guesses, that didn’t stop the Rolex watches — especially the sports watches — from being the most talked-about pieces of the fair. The Yacht-Master on Oysterflex has, since its debut in 2015, been one of the most distinctively modern models, with its matt cerachrom bezel and understated bracelet. This year saw two significant changes to the model. Firstly, it was offered in white gold, which only adds to the under-the-radar appearance; secondly, it’s bigger than ever, with a 42mm case — both these elements have been generally well received in the Halls. And then there’s the new version of the GMT-Master BLNR. It’s packing the new 3285 calibre, which means a new case. It’s also got a new Jubilee strap, giving the Batman a whole new look. 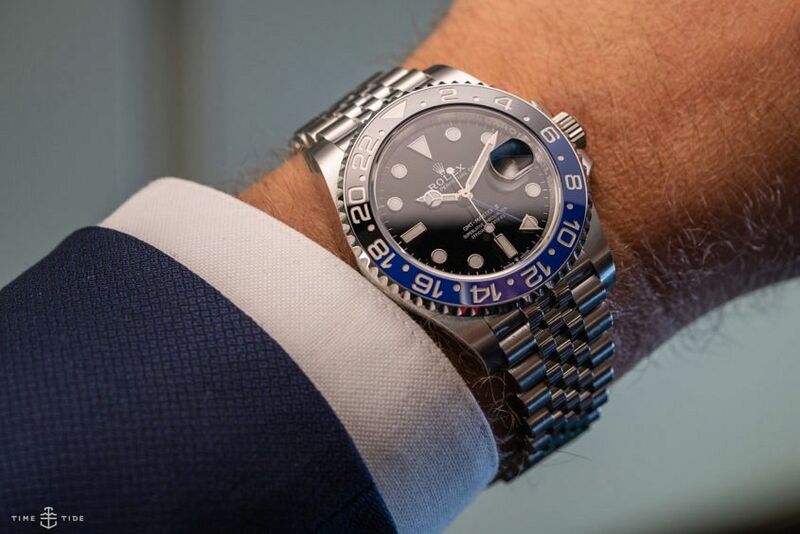 But the real story here is the news that all steel GMT-Masters are only available on Jubilee, and that all GMT-Masters with a single colour bezel (i.e. Black) are now discontinued. Finally, the Sea-Dweller is available for the first time in Rolesor — yellow gold and Oystersteel. 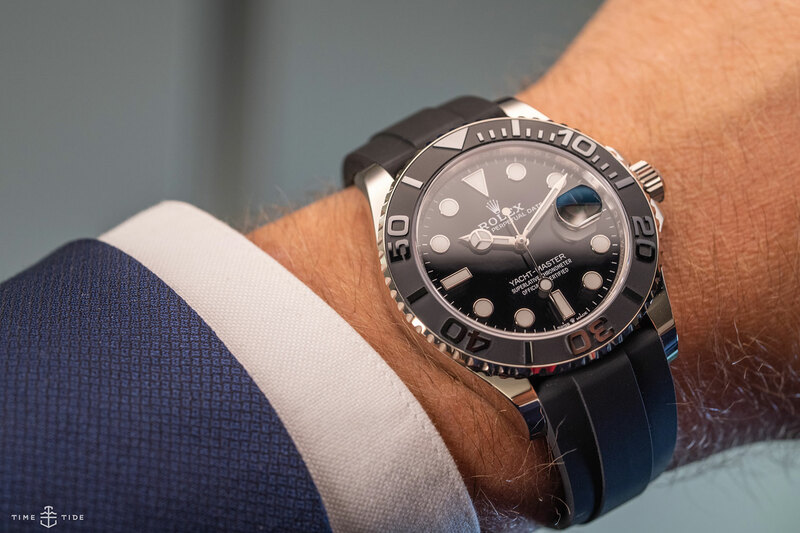 This bright combination only adds to the already substantial wrist presence of the big watch, and purists are raising their eyebrows at the presence of precious metal on what has always been billed as a purposeful diver.